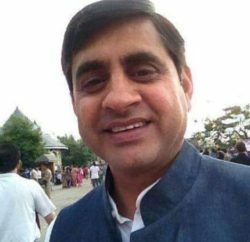 Minister for Food and Civil Supplies, Transport and Technical Education GS Bali accused opposition BJP for adopting double standards over allowing FDI in the retail sector. Minister said that BJP was opposing Multi Brand Retails in Himachal Pradesh; however party was supporting those in Punjab where it was a partner of the Shiromani Akali Dal. He said Punjab was planning to roll out a red carpet for multinational retail companies in the interests of farmers. He advised BJP to adopt pan India policy over FDI in retail instead of issuing statements to attract public attention. Bali believed that multinational retail stores would benefit consumers, farmers and manufacturing units in Himachal Pradesh. He claimed that the only section opposing FDI was of commission agents who made unreasonable profit at the cost of farmers, small traders and consumers. He said that apple growers had been suffering at the hands of commission agents who pocketed good amount of profit from the hard work of apple growers. He asserted that multinational retail stores allowed in Himachal Pradesh would have to procure at least 30 per cent of their merchandise from local markets. He added that the government would ensure than this percentage of merchandise was bought from manufacturing units in Himachal Pradesh. He said this would benefit horticulturists, small-scale units and vegetable growers who would get better prices. 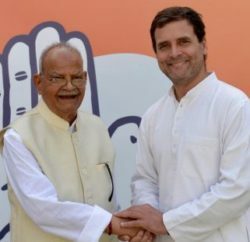 He claimed that farmers and small manufacturers in the state would benefit from multinational retail stores if those were opened up in Himachal Pradesh. Earlier BJP has slammed government for allowing Multi Brand Retails in state. Even state CPM unit has also advised government to rethink it decision and claimed that it would adversely impact small and marginal traders.